This matters to digital artists, too, because we need tools we can share, tools to teach, tools that are expressive, and tools that give us the freedom to work on the variety of devices in the world. When the tech world shifts, we need to adapt to keep our medium vibrant. Updated: A conversation guide for your Java-hating friends. Fortunately, there is an alternative — and it just got a lot more critical. This is significant news for people using Java. There are actually a number of great projects out there, but of course on this site I’m naturally thinking about Processing. If you think I’m going to launch into an anti-Apple rant here, you’re very, very wrong. Apple maintaining a separate implementation of Java hasn’t made sense in years. (Note, too, that since Sun – now Oracle – licenses Java technology to Apple, it’s possible there was a breakdown in the relationship with Oracle. There’s no way to say for sure.) The only real question is, what will replace it? As of the release of Java for Mac OS X 10.6 Update 3, the version of Java that is ported by Apple, and that ships with Mac OS X, is deprecated. This means that the Apple-produced runtime will not be maintained at the same level, and may be removed from future versions of Mac OS X. The Java runtime shipping in Mac OS X 10.6 Snow Leopard, and Mac OS X 10.5 Leopard, will continue to be supported and maintained through the standard support cycles of those products. 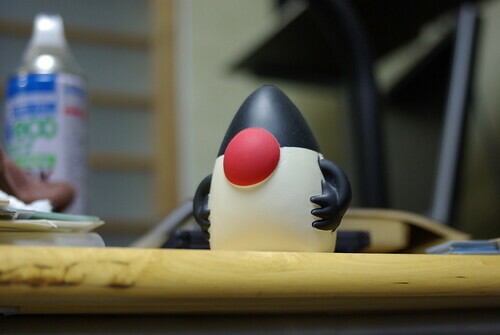 OpenJDK is the future of Mac Java development. This is far, far more likely. Oracle is maintaining support for OpenJDK, with 2011 and 2012 OpenJDK releases coinciding with Oracle JDK 7 and JDK 8. Not being able to do open source Java development on mobile is bad news, but at least OpenJDK is a rapidly-maturing Java that’s in near-lockstep with the standard Oracle JDK. That much is a good thing. The bad news is, when I last looked at OpenJDK’s Mac port (aka the “BSD” port), it was in shabby shape. It’s going to need some love if Java is going to survive on the platform. And that work will have to happen to OpenJDK first. Of course, if Java developers wanted motivation, I think you just got it. Consistent APIs, readable code, standards like OpenGL, portable native code, and code that interoperates well with humans are the real future of creative development. They endure no matter what crazy political antics break out between giant tech companies. In other words, the best platform out there remains your brain. Use it, and things will go well. Don’t, and be afraid. Missing from that explanation: the fact that Apple originally took it upon themselves to ship their own Java, that Apple’s Java relies on integration with the OS to behave in a native fashion, that while Apple’s releases have indeed been out of sync with Sun’s in the past, the problem wasn’t “release schedules.” Java 10.5 Update 1, for instance, shipped Java 6 revision 5 support in May 2008. Java 6 was released by Sun in December 2006. Apple’s own Mac OS X Tiger shipped at the end of October 2007, delayed by the development of the iPhone. In other words, it wasn’t Sun’s release schedule that was late – it was Apple’s. And Apple’s Java implementation still lacks JavaSound fixes dating back to the 2002 release of Java. As I said, I don’t even necessarily disagree with the decision, but the explanation is distorted, and there’s no replacement.